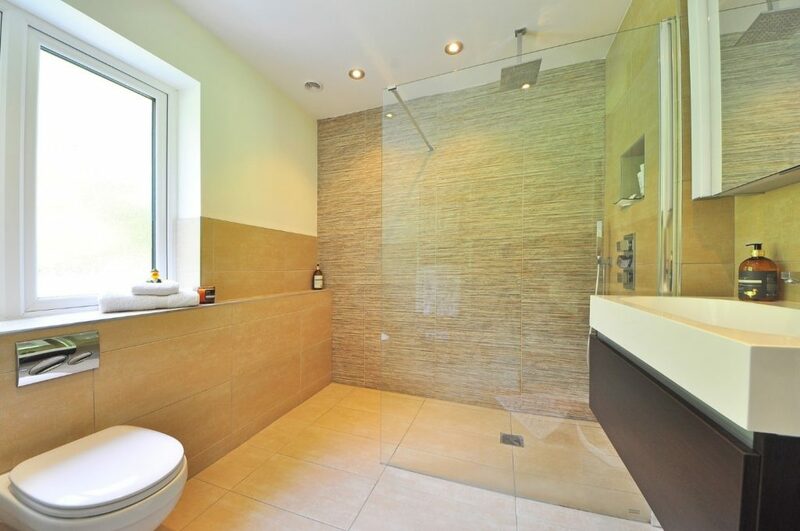 If you are in the process of remodelling an existing bathroom, you will be faced with one very important question. Should you buy a pre-fabricated shower enclosure or build one from scratch? Certainly, there are factors that will influence your decision. Some of the major considerations would be your budget, the allowable space, and the overall look and design you are going for. Pre-fabricated shower enclosures are popular for one reason: they are convenient and an all-in package which saves you time and money. It is preferred for DIY installations because it does not require advanced skill to handle. Custom building your own shower will entail a bigger budget and you are likely to require the services of a professional. To make a complete comparison, here is a complete breakdown of the advantages and disadvantages of each option. With pre-fabricated shower enclosures, the size, design, and orientation have already been pre-determined. This means that you will have to carefully consider how much space you have in your bathroom as well as where you want it to be positioned. Shower enclosures are usually made with durable glass and acrylic. Oftentimes you will find that the designs are quite generic. However, there are luxury shower enclosures that come in different styles and colours. There are new models that already include shower jets, piped-in music, and steam. This option is more affordable than a custom build. If you are in a hurry to finish your renovation project, buying a pre-fabricated shower enclosure can easily get the job done. You are also guaranteed that the construction of the enclosure is watertight. One thing that deters some people from choosing a prefabricated enclosure is the appearance. Enclosures look somewhat stark, industrial, and plain. However, there are many suppliers these days that produce stylish enclosures that can be a great addition to any bathroom. If you have the luxury of time and money, a custom-built shower may be the best choice for you. You have numerous choices when it comes to designs and materials to use. You can also add additional features to your shower such as seats, shower jets, and custom lighting. Most homeowners today choose tiles for custom building showers. Tiles are naturally water-resistant and look quite stylish. Tiles are also easy to clean and are very durable. You can choose natural stone such as granite or marble tiles. Be ready for the price tag, however, because building your own shower can be costly. In conclusion, both of these choices are excellent and depend mostly on your preference. Pre-fabricated showers come in different price points and there is a style and design that will fit any budget. These are also convenient and easy to install. Nevertheless, if you truly want a one-of-a-kind shower for your bathroom, then a custom built shower is the way to go. If you have the time and the resources for a custom build, there are endless possibilities for finding a design that will suit your home.